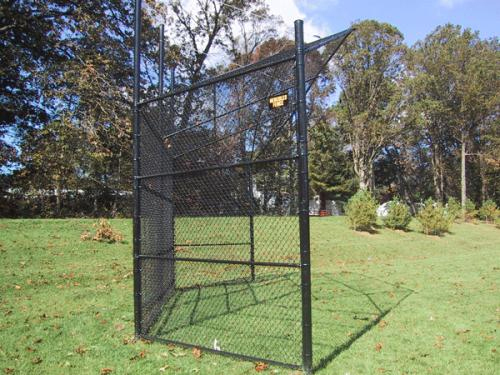 What is the Right Fence for a Baseball Backstop or Football Field? When it comes to the right fence for a Baseball Backstop, Football Field, or other athletic field, durability becomes our primary concern. Just think about the constant beating these fences take game after game, day after day. The right fence depends first on its use. The fence around a football field does not take quite the pounding a baseball backstop does. Either way, Chain Link is probably the way to go. The only difference between a backstop and an enclosure is the gauge of the wire. 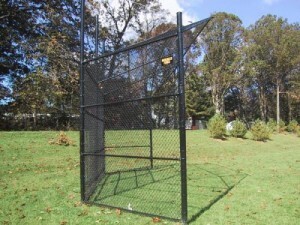 A backstop demands a thicker gauge chain link fence to stand the test of time. For a more aesthetically appealing fence, consider Vinyl Coated Chain Link. This product is becoming very popular because it offers the durability of chain-link fence together with the attractiveness of a vinyl coated finish. That’s what we like to call a win-win. If you would like to learn more about the right fence for a baseball backstop or football field, contact Hercules Fence today! A trained commercial salesperson can explain what product is right for your needs and budget. Since 1955, Hercules Fence of Northern Virginia has been providing professional service and quality installation for both commercial and residential fences. We pride ourselves in installing high quality fences at affordable prices. Hercules Fence is also the largest fence company based in Virginia. If you have any questions about our blog, “What is the Right Fence for a Baseball Backstop or Football Field?” please contact Hercules Fence of Manassas, Virginia today by calling (703)551-2609 or visiting our website. Also, check out Hercules Fence of Manassas on Facebook,Twitter, Google+ and YouTube! This entry was posted on Thursday, January 16th, 2014 at 4:45 pm. Both comments and pings are currently closed.